The Jan Mayen Microplate Complex (JMMC) in the NE Atlantic is interpreted to mostly consist of continental fragments with possible interstitial embryonic oceanic crust. A complex Cenozoic rifting history accompanied by extensive extrusive and intrusive volcanism have made the geological characterization of the JMMC challenging especially due to poor seismic imaging beneath the breakup basalt succession. Petroleum prospectivity offshore Mid-Norway and East Greenland. 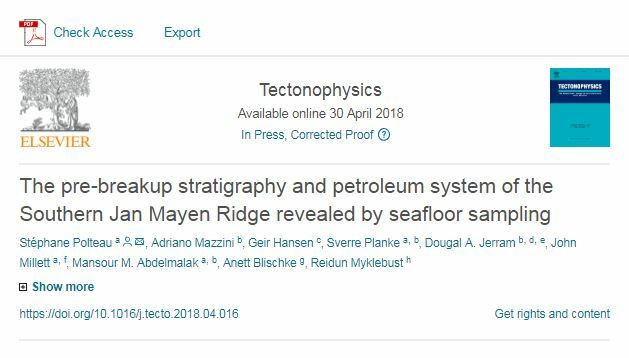 Synthesis report presenting our conjugate margin approach for exploring the outer mid-Norway and SW Barents Sea margins by integrating seafloor sampling results, geology, and plate reconstructions models to understand the hydrocarbon prospectivity of these frontier areas. 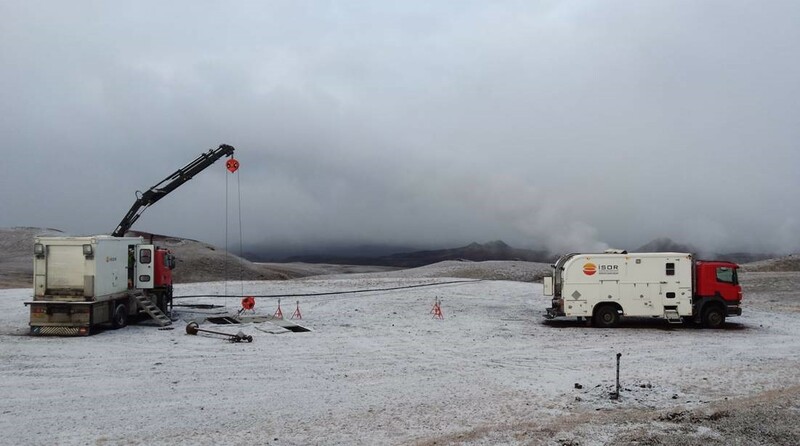 Sub-surface geology and velocity structure of the Krafla high temperature geothermal field, Iceland: Integrated ditch cuttings, wireline and zero offset vertical seismic profile analysis. High-resolution seismic data are powerful tools that can help the offshore industries to better understand the nature of the shallow subsurface and plan the development of vulnerable infrastructure. High-resolution 3D P-Cable is a useful tool for imaging glacial landforms. The seismic data allow to study the link between seabed morphology and underlying geology. 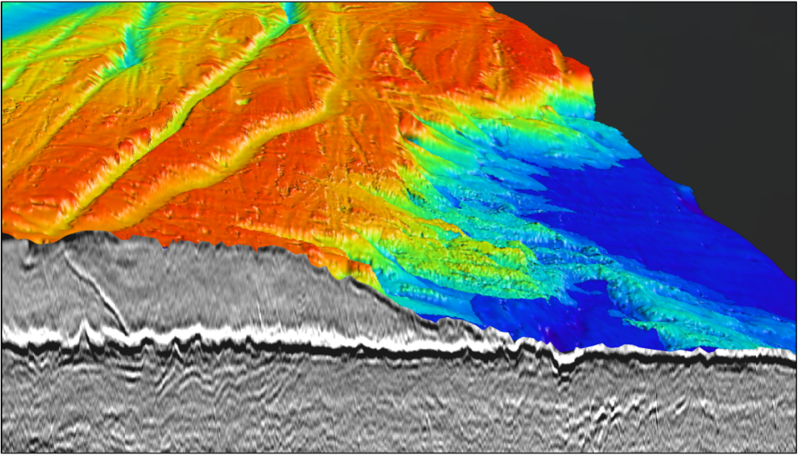 A buried shear margin moraine was imaged, and buried glacial horizons can be mapped at MBE-quality using the P-Cable technology . Meter-scale glacial deposits can be imaged using seismic attribute maps. 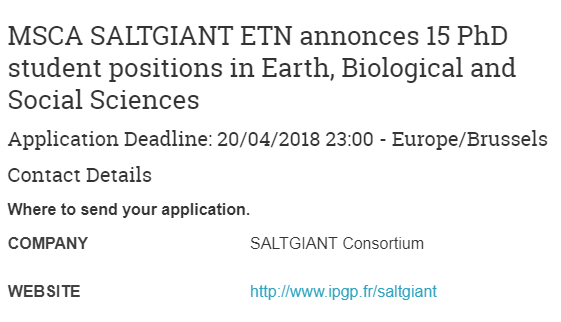 Applications are invited for 15 PhD student positions for 36 months to be funded by the Marie-Sklodowska-Curie European Training Network “SALTGIANT – Understanding the Mediterranean Salt Giant” within the Horizon 2020 Programme of the European Commission. Large amounts of methane are stored in continental margins as gas hydrates. They are stable under high pressure and low temperature, but react sensitively to environmental changes. 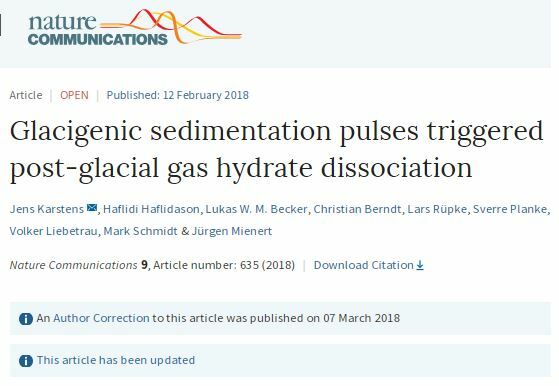 Bottom water temperature and sea level changes were considered as main contributors to gas hydrate dynamics after the last glaciation. 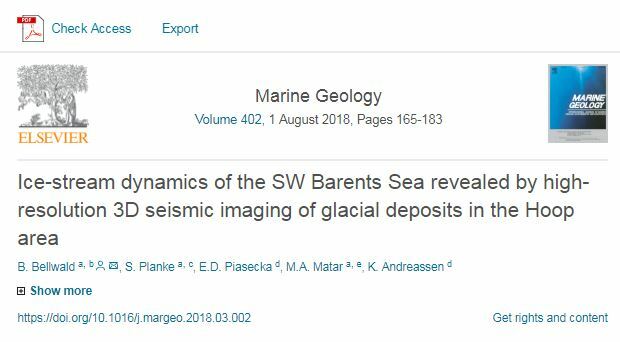 However, here we show with numerical simulations that pulses of increased sedimentation dominantly controlled hydrate stability during the end of the last glaciation offshore mid-Norway.